How long has it been since you have bought a new car? I bought my first brand new car in 2010 and recently went looking for a new one. Guess what? The tactics are the exact same. I drove on the lot expecting someone to meet me and ask what I was looking for. And I was quickly met and lead in the direction of the size of SUV I was shopping for. It saved me a lot of time. I didn’t buy that day, but my sales person, Brad, called the next day to see if I was still looking. And then, the next day his manager called and offered me an even bigger discount on the SUV I was looking at. Do you know why car sales people employ these tactics? Because they work. You may think that you can’t employ these same types of tactics in your eCommerce store. That online sales are entirely different than traditional sales tactics, but they aren’t. There are numerous crossover tactics that work in the real world that will also help you in the online world. I swear every time I am in a department store and looking for a different size or color with an item I want there is no one around. When I am just browsing for nothing in particular then there are 3 sales people around me. Having an online store gives you a leg up in this regard. You can engage conversational bots always at the ready to help your customers find what they are looking for, when they actually need the help. You can be the car salesman that approaches the customer in the lot using something like a support chat. 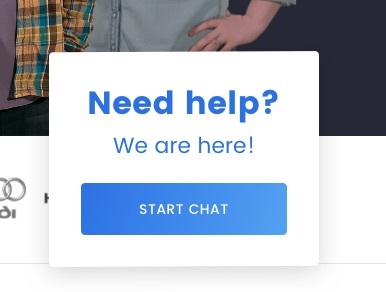 A little chat window that sits in the corner of your store ready to help your customer find what they are looking for or help them with an out of stock item. I am not just making this up. We even use this for our Managed WordPress sales pages. You can also get into even more automation options by building your own bot messenger! Giga Messenger is a WordPress plugin which brings a convenience way to help you build your own AI, manage leads, subscriptions and marketing plans with no fuss. What I love most about the features of the Giga Messenger is you have the full capability of creating a full marketing campaign through automation. That means from creating the lead, to linking the account and then connecting to your customer relations management system, it is all automatic. Just like the day at the dealership not so long ago when Brad called to ask if I had made a decision, many years before I had a similar experience. That time my husband and I actually test drove a car. We really weren’t sure what we wanted and were shopping around. It was a Nissan dealership and I think even 8 years later the reason I remember them is because days after that test drive we received a handwritten thank you note from our sales person, Kendra. I am not making that name up, that really was her name! I surprised myself remembering it all these years later. If not for that followup note I probably wouldn’t have remembered. So, be like Kendra and use your followup tactics like a pro. One way of doing this in WordPress is by using a plugin called AutomateWoo. The great thing about AutomateWoo is that it will fully integrate with your WooCommerce store for a seamless experience for you. With this plugin you can create automatic email notifications for customers who purchase to leave a review or offer another coupon for a future purchase. You can also set up cart abandonment alerts so the person can be reminded of the products they wanted to purchase and lead them back to you store. You can also create personalized coupons or reminders when products in your customers wishlist go on sale, plus many more features. You can read a great article on the AutomateWoo blog about creating successful automatic email notifications. Back to my story about Brad. After we left his dealership, the next day we got a call from his manager offering a discount if we came in that day to buy the SUV we drove. All this is was a time sensitive coupon. Using a coupon with an expiration date or even within hours makes the buyer feel the urgency to purchase. If they wait they won’t get the discount and if it is a product they have already been eyeing, then your coupon just made their choice a whole lot easier. If you’re a store owner, check out this plugin: WooCommerce Coupon Countdown. This WooCommerce extension allows you to create coupons from their templates or even style your own that have various expiration dates. What makes this standout to me is you can choose to start the coupon once the customer makes a purchase. Meaning, you can send it after the purchase of another product and entice your customer to come back within the time limit to make another purchase at a discounted rate. I hate to admit how many times this has worked on me. You don’t have to think about sales as some sleazy tactic that people get annoyed with. When done the right way with thoughtfulness it will work to increase your revenue. Whether you are at the dealership buying from Brad (like we did!) or online.